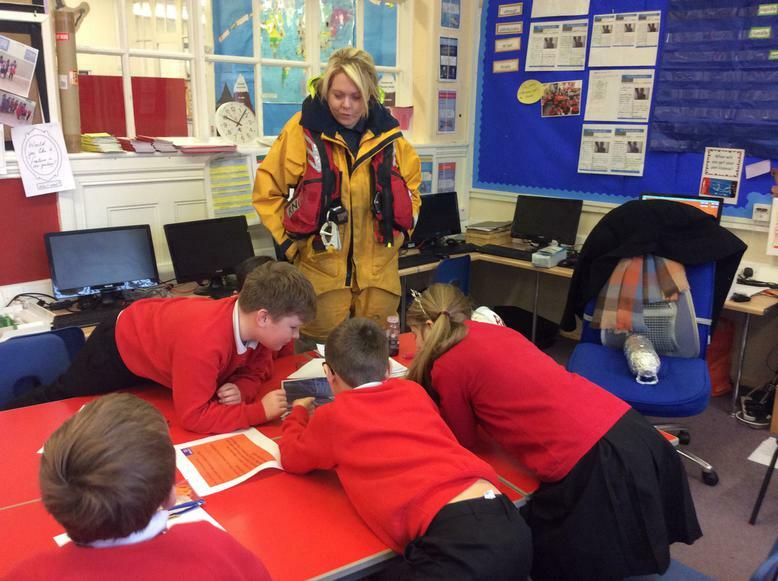 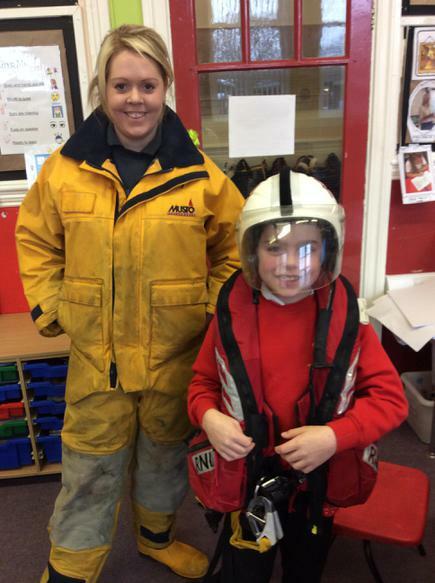 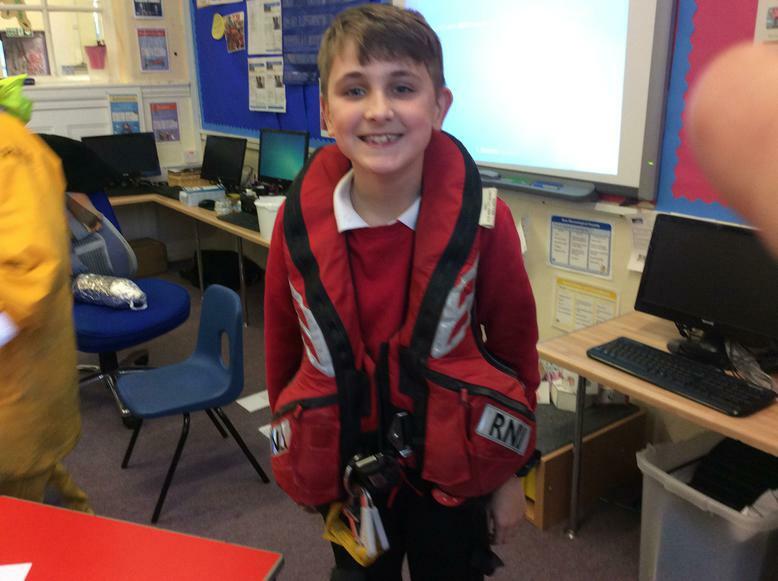 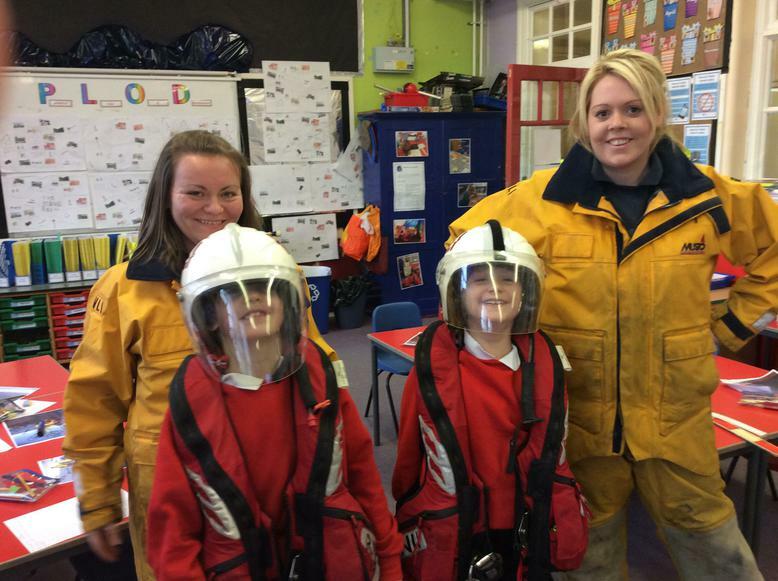 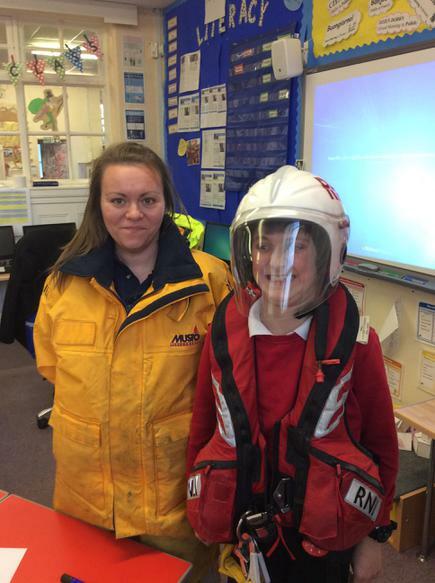 This week Class 3 had a special visit from Leeanne and Rachel from our local RNLI lifeboat crew. 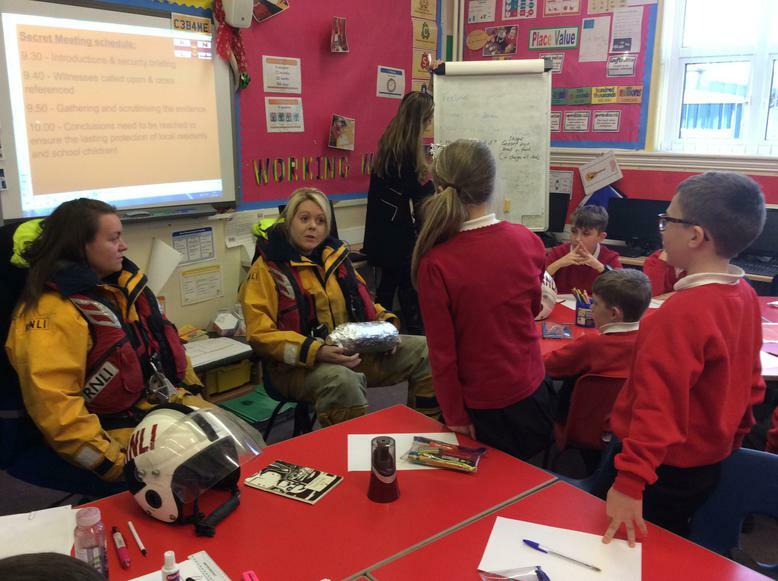 They had found something suspicious that they wanted to share with us. 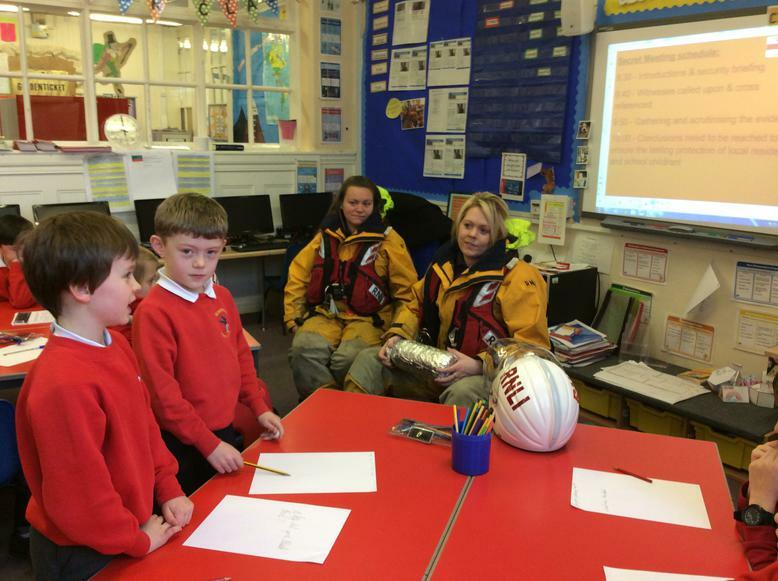 The crew had been terrified at their discovery having recently read the Iron Man story. 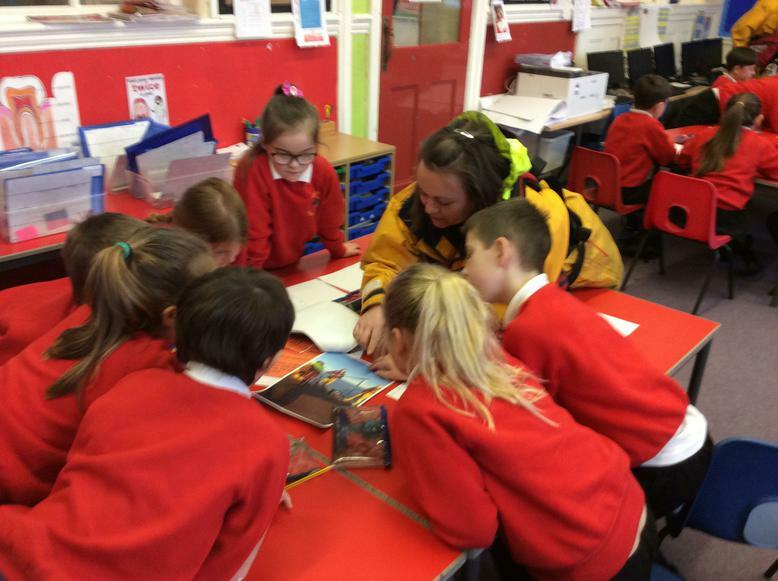 Leeanne was kind enough to remember that class 3 have also been reading this story so decided to share this suspicious find with us. 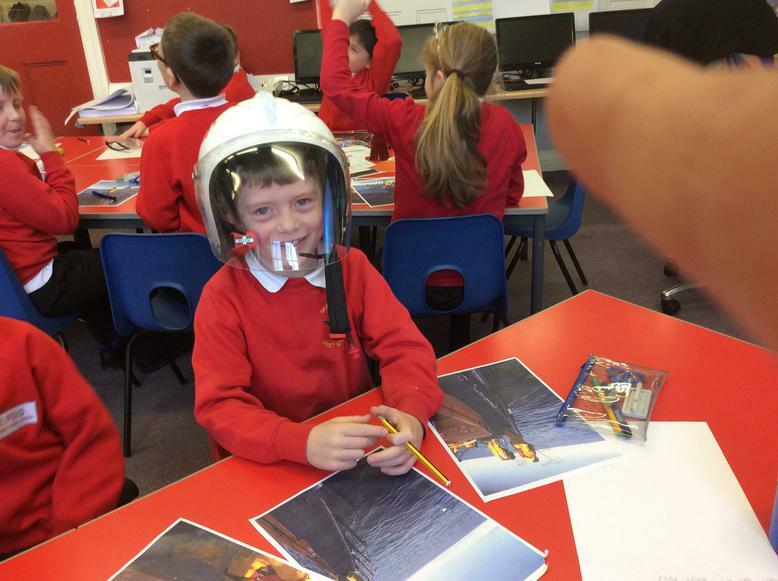 Take a look at some of the pictures to find out a bit more. 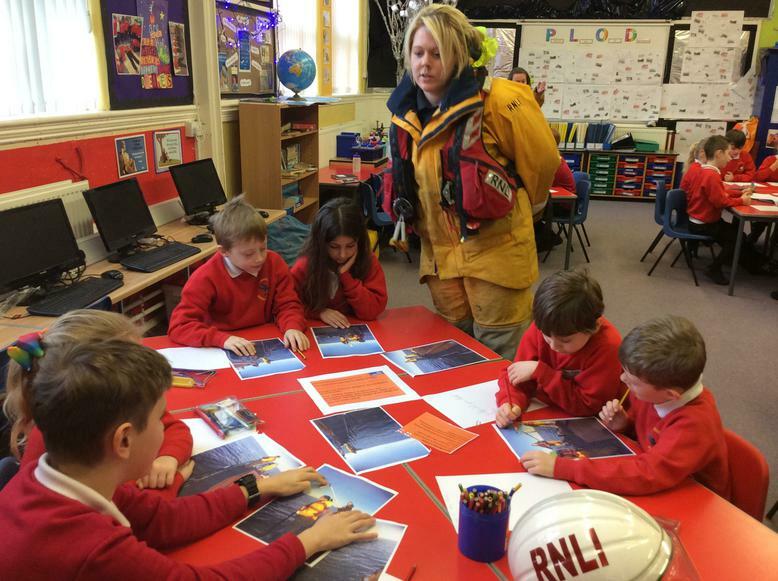 We would like to thank Leeanne and the rest of the team at the RNLI for all their enthusiasm and support, we really appreciate it.